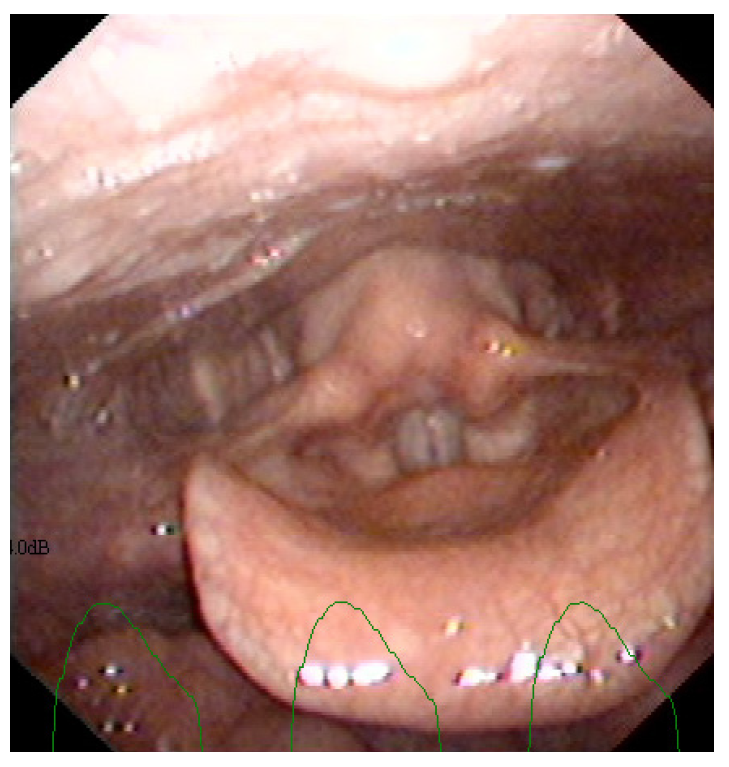 The front and the back of the laryngeal opening approach each other, making the opening of the larynx much more narrowed. The opening of the larynx is more narrowed, creating a sharper angle between the arytenoids and the aryepiglottic fold, and also an acute angle between the aryepiglottic fold and epiglottis. On top the cuneiforms are rolled in more.